Path of Exile is still quite fun and I'm greatly enjoying it. The game is old school both in a good and a bad way. The original vision for the game was laid out back in 2008. According to Grinding Gear Games, the team taking a moment or two to look back at the progress it's made since the game was initially conceived. 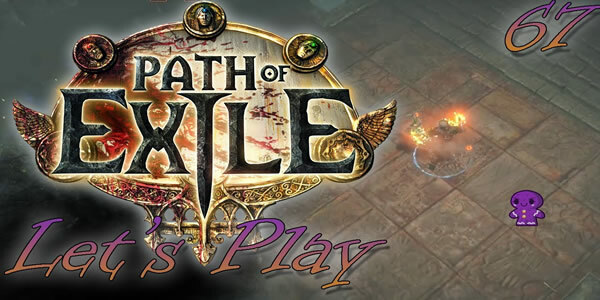 Grinding Gear Games has revealed more information about the Path of Exile, visit the official website here. Path of Exile is already a very big, very demanding game. Ever since its first public beta debut, the free-to-play action RPG has grown steadily, layering new content and mechanics onto an already complex design. Path of Exile has always offered something for players to do, the biggest new wrinkle comes in the form of The Elder, a secondary ultimate antagonist and one somewhat more Cthulhoid in nature. Atlas Of Worlds is a new expansion for Path of Exile, your journey through these randomly generated worlds was now charted on a grand Atlas, each potential zone type represented by a node. Your progression spiralling gradually inwards through increasing tiers of difficulty towards a final confrontation with The Shaper, a former Oriathan scholar somehow turned into a world-crafting god among gods. Diablo 3 was announced and my fanboy squee was everywhere. Grinding Gear Games, a relatively small studio, have created what most of the Path of Exile community feel is the true successor to Diablo 2. Each character has a small bit of Lore and start with set items. Ranger will start with a Bow, Witch will start with a wand. I love Path of Exile and it keeps pulling me back each time new stuff is added. When it’s free, you really can't lose out. When cheap path of exile items is being sold at U4GM, you need to grasp the chance.